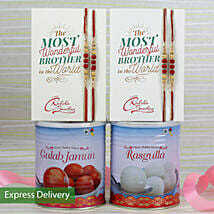 During the festival of Rakshabandhan mostly people are worried about the relatives living very far from them. But, this is a common thing and online portals like ours are here for your rescue. 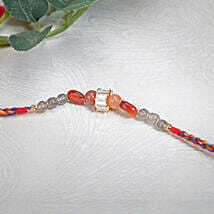 All Indians celebrate Rakhi and it truly is a big day. 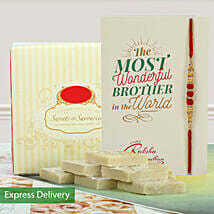 Even the brothers send return gifts to sisters on Raksha Bandhan and these gifts include sweets, chocolates and amazing gifts. There are a wide range of rakhis and rakhi gifts available on our site while you browse for Rakhi to Katihar. Sisters are sure be confused as to which one to buy. If you would like to have something different, you can think of kundan rakhi, as that is something that would never go out of trend. 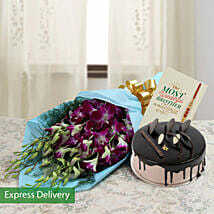 Different people like giving different gifts. 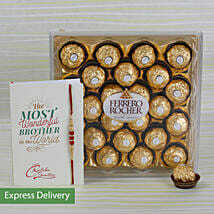 Some sisters want to make rakhi festival very different and thus they make cakes or chocolates with their own hands and then they would gift this to their brother along with rakhi. But some sisters who are loaded with work can’t take such an opportunity, so you can send rakhi to Katihar online through us. 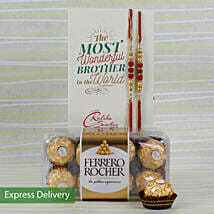 We provide rakhi delivery anywhere in India including Kathihar and thus you can send your brother rakhis or rakhi with chocolates’ or sweets. 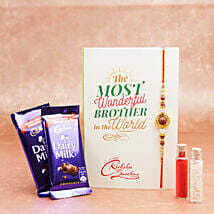 Brothers can also choose from a variety of gifts to send return gifts for sister. We give free shipping and same day delivery, which are attractive perks for our customers. 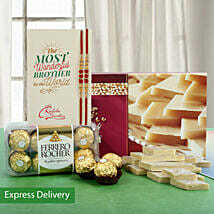 For brothers who have been looking for some amazing gifts, we have a lot in our collection. The reason why you should select us for kundan rakhi is, we provide free delivery and this can really help you save your money. Take advantage of our online rakhi delivery in Katihar and stay open for making rakhi a really special day for you as well as your brother.